Senator Jim McVeagh is approached by President Mark Hollenbach at a journalists’ dinner and invited to a Night of Camp David the same evening. While there, the President states that using wiretaps on every phone in America is a good way to prevent crime. He then goes on a paranoid rant against his own Vice President, OMalley. He asks Jim what he thinks of various alternatives he is considering as running mates for his reelection campaign. One of the alternatives is Jim himself. After returning home, Jim learns that others are concerned about the President’s paranoia too. When the President offers Jim the vice presidency, he accepts but doesn’t mention his long-time mistress, Rita. Soon afterwards, Jim breaks it off with Rita. As the President gets increasingly paranoid, he floats many plans to remove rights from the American people beginning with freedom of the press. He also sleeps less and less while becoming moody. When he talks of merging with Canada and Scandinavia, Jim believes he speaking about conquering those countries. It is then that Jim concluded the President is insane. 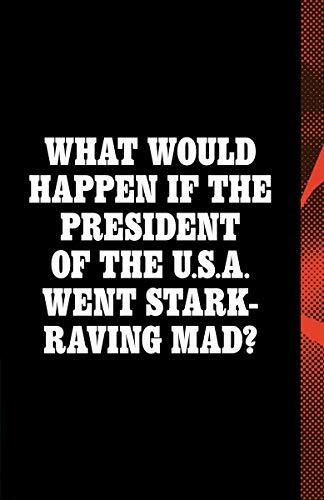 Night of Camp David seems like it was written for our current political climate of a President who also appears to have “delusions of persecution and perhaps grandeur as well.” However, it was originally published in 1965 well before the Trump and Nixon presidencies it most resembles. It is still a topical book even if it is written in a slower pace than current thrillers. It’s worth a read for political junkies. 3 stars. 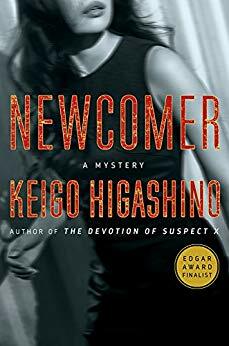 Thanks to Vintage Anchor Books and NetGalley for an advance copy in exchange for an honest review. It’s that time of year when you look around at your assembled family during your holiday party and decide they look Relatively Normal. At least they will, after you read this laugh-out-loud book. Cat runs an event planning company in New York City. She meets and becomes engaged to Ethan, an actuary. Ethan is a planner. After Ethan and Cat are engaged and living together for two years, he insists on their two families celebrating Thanksgiving together at Cat’s family farm in rural Illinois. Cat doesn’t know to explain her family to Ethan. Her mom collects obscure household goods like shortbread pans and various cozies. Cat’s dad is staunchly Scottish. He plays the bagpipes badly and dresses up stuffed mice as Scottish heroes. Her grandmother, Nan, says whatever she thinks. Unfortunately, she is usually thinking with a sailor’s vocabulary due to numerous small strokes. Cat’s brother, Travis, is a 29-year-old clown college dropout living in his parent’s basement. When Cat, Ethan and his parents get to the farm all hell breaks loose. Cat’s dad has invited Cat’s high school boyfriend and former love of her life, Sam, and his parents. Unfortunately, Dad forgot to mention Cat’s engagement. The absurdity of the Scottish Thanksgiving dinner is hilarious. Cat’s family never lie so they don’t hesitate to tell her Ethan isn’t her perfect match. When a medical emergency occurs, Cat contemplates her relationship with Ethan and her still fiery feelings for Sam, a feeling that Sam shares. Relatively Normal starts as a superb farce. When the romance begins to heat up between Cat and Sam, Cat must decide what is important for her. The characters are so believable. You’re rooting for them to make the best decisions and live happily ever after. I recommend this book both to fans of zany humor and non-explicit romance. 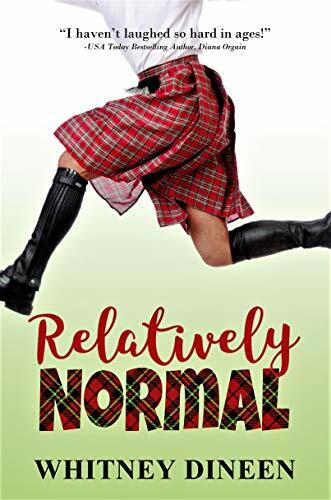 If you like the Stephanie Plum series, you will also like Relatively Normal. 4 stars! Thanks to 33 Partners Publishing and NetGalley for a copy in exchange for an honest review. Balance only turns on when a person is standing. In the modern world of smart phones and Uber, people mostly sit. Without regular practice, balance is lost. 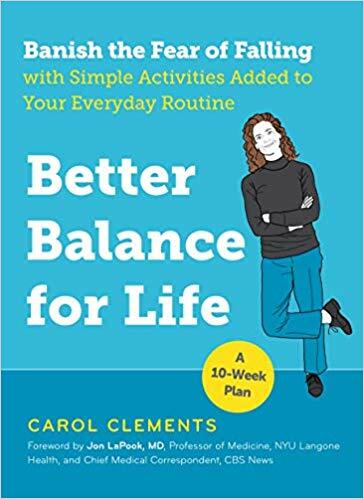 Better Balance for Life details easy exercises to be done while also doing daily tasks that will prevent this decline in balance. With literally no time spent, the exercises in this book will prevent falls both now and in later life. Stand on one foot while brushing your teeth and curve like a rainbow while waiting for an elevator are just two of the imaginative exercises here. The exercises begin simply and get progressively more difficult. Four exercises are added each week. Most of the exercises sound deceptively easy but are somewhat challenging like patting your head and rubbing your stomach. However, all are fun. Better Balance for Life is an enjoyably way to prevent breaking a hip when older. It would make a great gift for a grandfather or an elderly aunt. 4 stars! Thanks to the publisher, The Experiment, and NetGalley for an advance copy in exchange for an honest review. 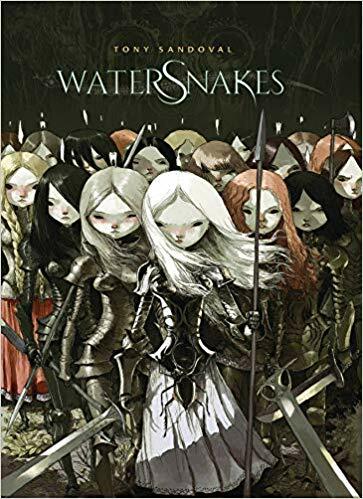 Watersnakes is a modern fairy tale that is highly recommended. An eerie fable about a ghost who carries the soul of an ancient king, and whose teeth are the king’s warriors. She kisses a living girl and vomits an octopus, who begs to be taken to the sea. Best for fans of the surreal like Coraline. The mesmerizing story lingers like a remembered dream long after the last page is read. The dreamlike art perfectly matches the ethereal plot. 4 stars! 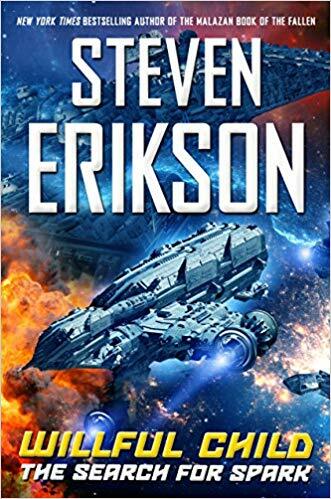 Thanks to Lion Forge and NetGalley for an advance copy in exchange for an honest review. In My Sister, the Serial Killer, Korede is a good sister, who cleans up her younger sister Ayoola’s messes, literally. With bleach. Ayoola, though beautiful, has man problems—she keeps killing them. As the book begins, Ayoola has just killed her third boyfriend. After googling the definition of serial killer, Korede realizes it fits her sister. When Korede catches Ayoola trying to hit on Dr. Tade at Korede’s work, Korede tries to stop her involvement. None of Ayoola’s relationships end well for the man and Korede has her eye on Tade for herself. When Ayoola takes Korede’s words as a challenge, the fun begins. 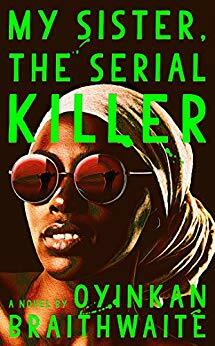 If you like black humor set in exotic Lagos Nigeria, you will love My Sister, the Serial Killer as much as I do. It is hard not to sympathize with poor plain Korede’s plight. Her sister is obviously just using her and all her boyfriends. It is a fun read from a completely new perspective. 4 stars! Thanks to Doubleday Books and NetGalley for an advance copy in exchange for an honest review.